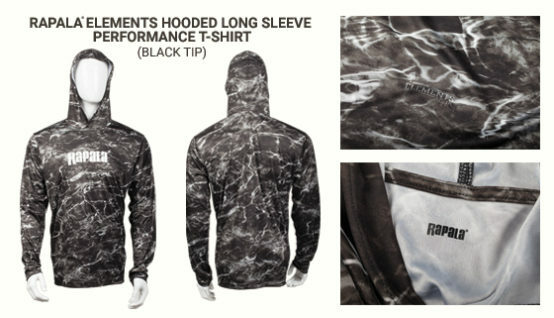 Keep cool and look like a pro this summer in a new Rapala logo Mossy Oak Elements hooded performance shirt. 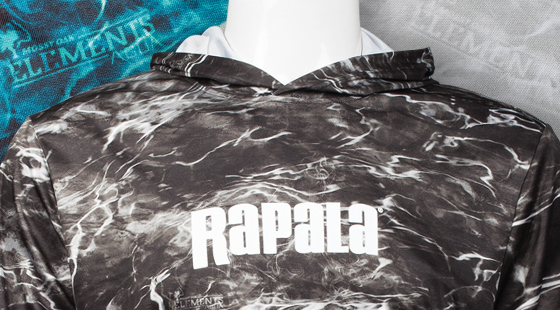 Popularized by top Rapala pros Brandon Palaniuk and Ott Defoe, the moisture-wicking, UV-blocking tops feature designs inspired by core elements – earth, water and wind. “These elements were fused together into three layers of multi-directional, photo realistic images that actively disrupt the human outline at any distance, in any light spectrum,” Mossy Oak describes on its website. Long story, short, these shirts look cool. 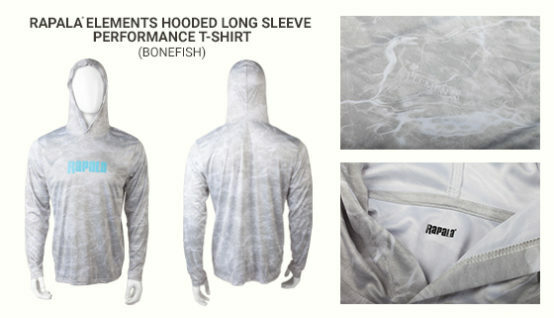 And they’ll keep you cool too, thanks moisture-wicking technology. Like a candle wick draws wax up to a flame, thanks to moisture-wicking fabric draws sweat away from your body, helping it evaporate more quickly. 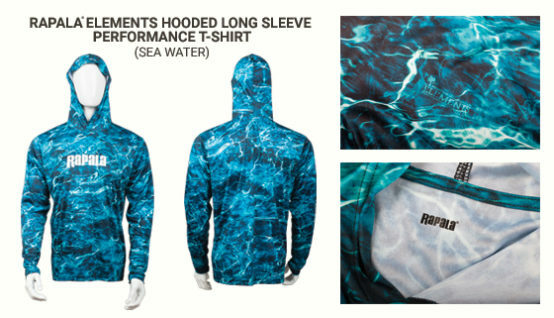 Built-in UV protection and an attached hood offers protection from the sun. Thanks for the feedback. We will share this with the proper departments. Thank you for the feedback. We will share this with the proper departments.